Luc Winants (Boirs, Belgium) has forwarded to us these two photographs of Richard Réti (Brussels, January 1924) from the collection of Daniël De Mol. Among the spectators is Edmond Lancel, who is standing second from the left in the first photograph and, in the other shot, sixth from the left, with Edgard Colle on his right. 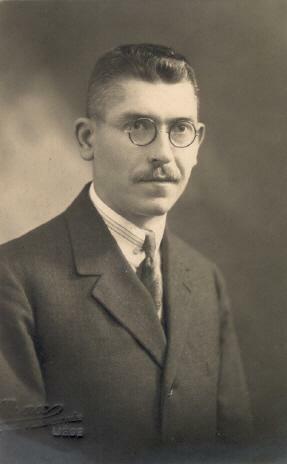 The photographs were taken during Réti’s tour of Belgium which was scheduled for late 1923 but was postponed owing to an accident sustained by Réti. Our correspondent draws attention to the following report to that effect in L’Indépendance Belge of 9 October 1923: ‘Par suite de l’accident dont Richard Réti a été victime il y a une quinzaine de jours, le grand maître tchécoslovaque nous prie d’annoncer que sa tournée en Belgique, prévue pour le début du mois d’octobre, ne pourra avoir lieu qu’au commencement du mois de novembre prochain.’ There were further delays, and the tour (Brussels, Ghent and Antwerp) eventually took place on 6-21 January 1924. Mr Winants has a fine webpage regarding the tour but has so far been unable to establish the nature of Réti’s accident. 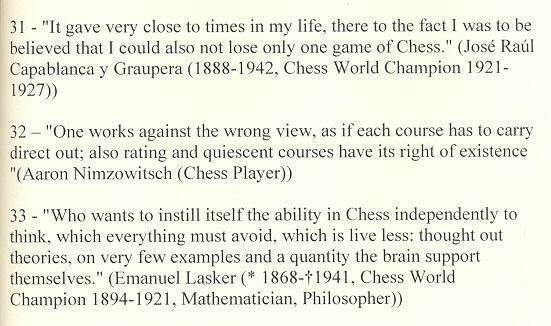 Above is the dedication page in Comment il faut commencer une partie d’échecs by E. Znosko-Borovsky. The book was first published in 1933, although the illustration comes from our copy of the fourth edition (1954). Further information about his illness and lengthy stay in the sanatorium would be appreciated. The French version of the book was by Marcel Duchamp, and various editions have appeared in English, under the title How to Play the Chess Openings. For a note on Paolo Guarini (or Guarino or Guerini or Guarinus), see pages 211-213 of Chess in Iceland and in Icelandic Literature by Willard Fiske (Florence, 1905). An extract from Across the Board is available on-line at the website of the Princeton University Press. ... but, strange to say, we have yet to find the photograph itself in a contemporary source. 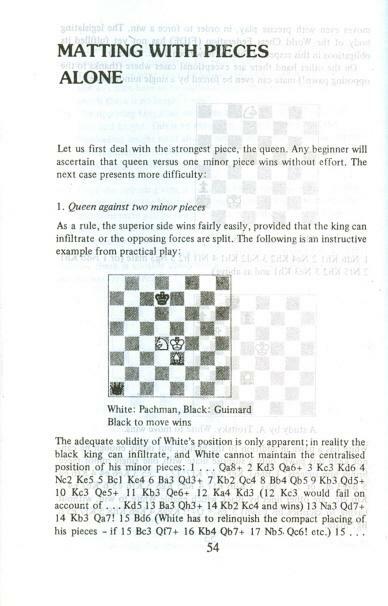 The Alekhine part has been seen in books, one example, quoted at random, being page 72 of Schach – ernst und heiter by Rolf Voland (Berlin, 1981), but what about the full Alekhine-Nimzowitsch photograph? 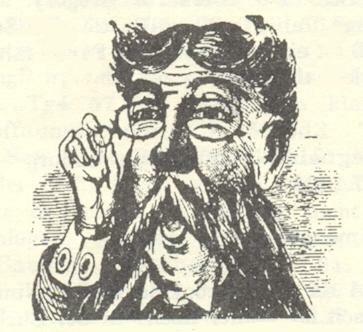 Improbably, this sketch was labelled ‘Dr Siegbert Tarrasch’ on page 8 of Aaron Nimzowitsch 1886-1935 Ein Leben für das Schach by Gero H. Marten (Hamburg, 1995). 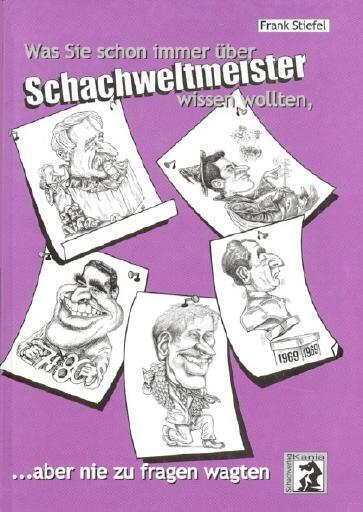 On the subject of sketches and caricatures of chess masters, we suggest that some of the best are by Frank Stiefel in his book Was Sie schon immer über Schachweltmeister wissen wollten, ... aber nie zu fragen wagten (Schwieberdingen, 2000). 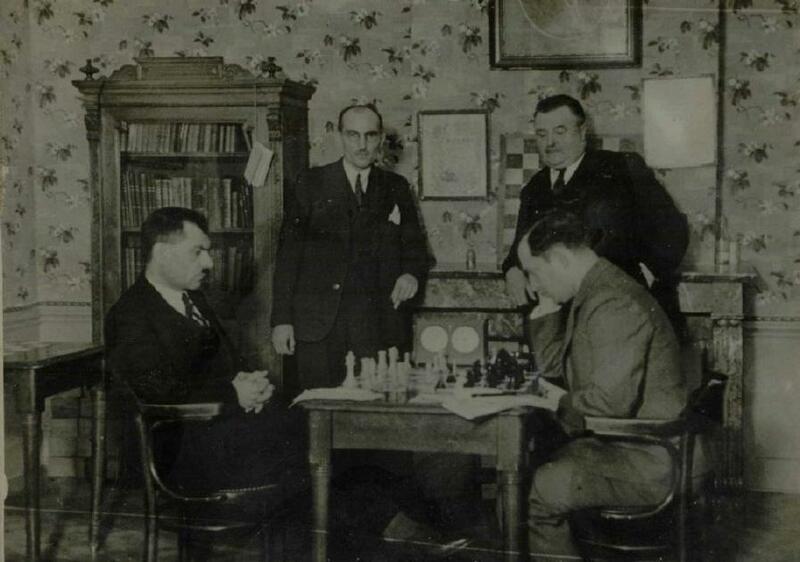 As Mr Browne points out, Alekhine did play in that match, which took place on 14 September 1939. 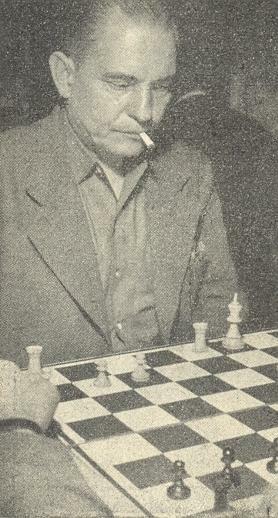 His win, over Alberto López Arce, was given on page 647 of the Alekhine book. ‘Last night’s match between France and Cuba was drawn two-all. I should like to explain my absence, which was due to purely personal reasons. Neither France nor Cuba was a leading contender in this competition, which meant that from that point of view there was no special significance in whether or not I played. There was only the question of the spectacle itself, which of course could not influence the course of the tournament. Once more it is necessary to emphasize that the event being held at the Politeama is a tournament for teams, not individuals. A week ago I notified the Argentine Chess Federation that I did not intend to play against Alekhine, and I explained my reasons for this decision. I made this announcement to the Federation so that my intentions were known in advance, and to prevent disappointment on the part of the public. My not playing yesterday was thus not an act of discourtesy to the Federation, nor a lack of consideration for the Buenos Aires public. To some, unfortunately, this statement may be an irresistible springboard for speculation, and especially since it has not been established what reasons Capablanca gave to the Argentine Chess Federation or, indeed, whether he gave them in writing. Nor, incidentally, do we recall any public comment by Alekhine on Capablanca’s refusal to play him in the Olympiad. ‘Capablanca was pathetically eager, even at this late date, to arrange a return match. 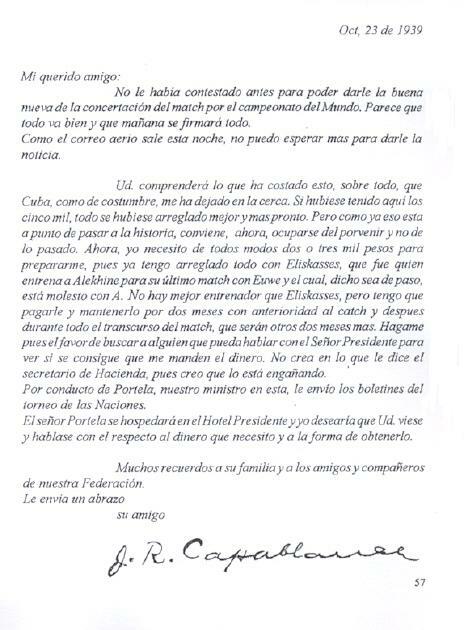 He wrote a letter to the President of the Argentine Chess Federation, abounding in such phrases as, “I am disposed to play [...] whenever it can be arranged. ... I have not the slightest objection to make. ... I am disposed to accept this modification. ... Also I will accept whatever [reasonable] modification ... you will have no difficulty in coming to an agreement with me. ... I should be at your service.” Etc., etc. It seems to us, though, that much more research is required, in the Argentine Federation’s archives (if any) and in local newspapers, before conclusions of any kind can be reached. The confusion prevailing at the time is reflected in articles in two consecutive issues (November and December 1939) of the chess magazine El Ajedrez Americano, which was published in Buenos Aires. Whereas the former (pages 321-322) spoke of a rematch as a virtually certainty, even stating that the Cuban was remaining in Buenos Aires until it came about, the latter (page 353) referred at length to the financial burden in the aftermath of the Olympiad. The November issue reported the masters’ purported standpoints, without giving sources. 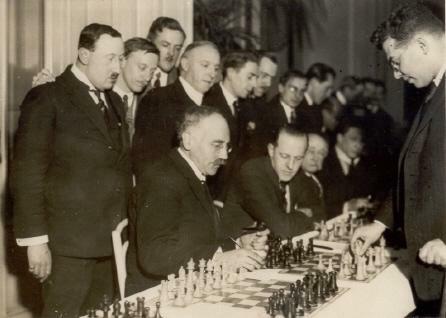 We hope that readers will be able to assist us in piecing together additional facts about this final phase of the Alekhine-Capablanca rematch saga. Joost van Winsen (Silvolde, the Netherlands) mentions that an article entitled ‘Van honderd naar zeshonderd’ by Jan Timman which was largely devoted to N.W. van Lennep was published on pages 8-11 of Schaakmagazine, May 1998. Our correspondent also refers to Hans Ree’s article ‘Norman Willem van Lennep de eerste hoofdredacteur’ on pages 23-26 of Schakend Nederland, June 1993. It was anthologized in Ree’s book Schitterend schaak (Amsterdam/Antwerp, 1997) and, as mentioned in C.N. 4664, has also appeared in an English version. In our feature article an addition has now been made in the ‘Best introduction for children’ category. Source. 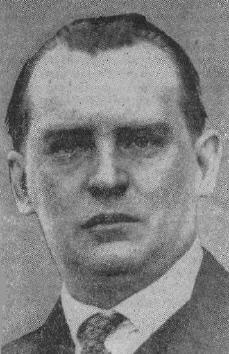 BCM, November 1924, page 477. 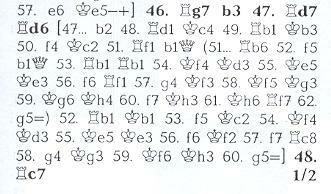 1 c4 e5 2 g3 Nf6 3 Bg2 c6 4 Nc3 Bb4 5 Nf3 d6 6 d4 exd4 7 Nxd4 Be6 8 Nxe6 fxe6 9 Qb3 Na6 10 O-O Rb8 11 Bf4 e5 12 Be3 Bc5 13 Bxc5 Nxc5 14 Qc2 O-O 15 Rad1 Qe7 16 Rd2 Rbd8 17 h3 Ne6 18 e3 Nd7 19 Ne4 Ndc5 20 h4 Nxe4 21 Qxe4 Nc5 22 Qc2 Rf6 23 b4 Ne6 24 Qe4 Rf7 25 Bh3 Nc7 26 f4 exf4 27 Rxf4 Rdf8 28 Qxe7 Rxe7 29 Rxf8+ Kxf8 30 Rxd6 Rxe3 31 Rd7 Re7 32 Kf2 Rxd7 33 Bxd7 Drawn (at the proposal of Black). Source: La Nation Belge, 29 March 1923 [sic]. The occasion was a 12-board blindfold display. As listed under ‘Broadcasting (radio and television)’ in the Factfinder, a number of C.N. items have discussed recordings of old masters in sound and/or vision, but very few specimens have yet been found, even though, in other fields, audio recordings from over a century ago are extant. For example, 19 sketches (patter and song) performed by Dan Leno (see C.N.s 4646 and 4647) between November 1901 and April 1903 are commercially available on a CD from Windyridge. 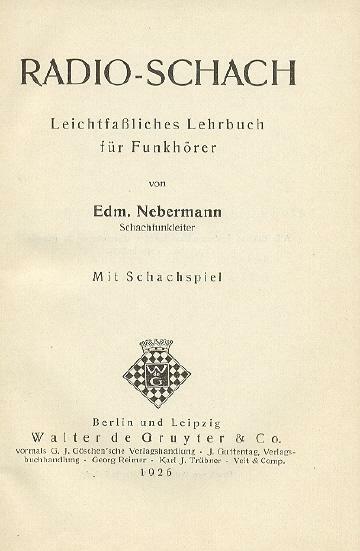 As regards radio output, have any recordings survived of the 1920s programmes in Germany which occasioned the book Radio-Schach by Edmund Nebermann (Berlin and Leipzig, 1926)? See also pages 265-266 of the September 1927 Deutsche Schachzeitung, but we lack any biographical data on Nebermann. Many ‘chess quotes’ of the masters are unsubstantiated and unsubstantiatable, but at least the game’s lore contains few instances of alleged last words. Buckle’s purported cry about being unable to finish his book is well known, but are there other cases? Page 60 of Mille et une anecdotes by Claude Scheidegger (Tirana, 1994) claimed to know what Tartakower said on his death-bed (a quip, of course), but, in keeping with the rest of the book, no corroboration was offered. ‘Next day Reuben Fine and his young wife came to see him [Lasker] for the last time. He could merely give them a feeble wave of his hand. When Fine had gone, Martha [Lasker’s wife] heard Emanuel whisper: “A King of Chess”. Lasker died on 11 January 1941. ‘Chess History contains many shadowy episodes on which only an uncertain light has been shed, chiefly because the sources of information lie in musty volumes now so rare that only eccentrics know where to find them. The six games played in London in May 1843 between Staunton and Saint Amant (six months before their Great Match in Paris) are a case in point. The scores were all preserved and the result (St A. 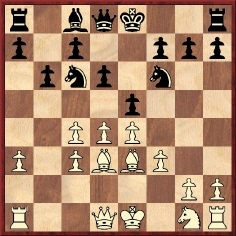 3, S. 2, Drawn 1) is not disputed – but did the games constitute a set match, or were they, as Murray claims, “six informal games which the Frenchman afterwards magnified into a chess match”? Staunton (Chess Player’s Chronicle, 1843) published the games, but said nothing about a match, and informed his readers that “they were of inferior quality, affording nothing like a test of the relative skill of the two players”, that “he had entered the arena for the first time after severe indisposition”, that he ought to have won the second game “without difficulty” and the fifth “easily”, and that in the sixth game “the timidity, so foreign to Mr S.’s usual style of play, which he exhibits in this contest is undoubtedly attributable to the state of his health”. 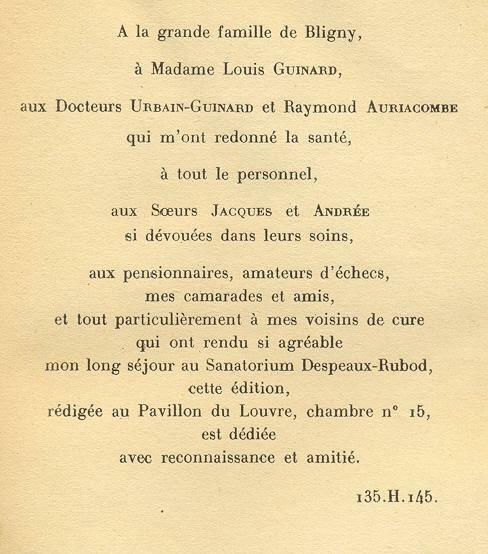 But Saint Amant (Palamède, 1843), though he certainly “went to town” over his victory, is full of praise for the sportsmanship both of his opponent, who was “parfait de courtoisie” throughout, and of “la galerie” at the St George’s Chess Club – “comme beaux joueurs et vrais gentlemen les Anglais très certainement sont nos maîtres”. Moreover, his six-page account fairly established that, though hurriedly arranged and for a nominal stake of one guinea only, it was in fact a match, the winner of the first “trois parties” to be declared the victor, draws not counting. The arrangements at the St George’s, St A. informs us, showed commendable “savoir-vivre” – two “obligeants amateurs” sat recording the moves, and an “honorable assistance” instantly conveyed them to “une nombreuse réunion” who eagerly awaited them with chess sets at the ready in an adjoining apartment. 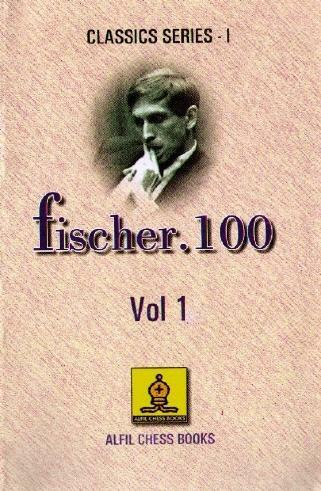 The front-cover text (‘... considered by many as one, if not the greatest chess player of all time’) is unfortunate. 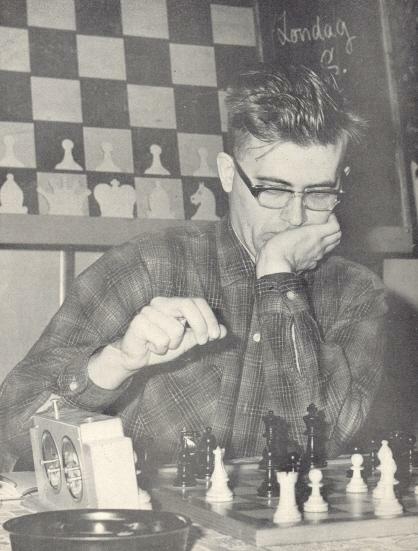 This photograph of Fischer was published on page 107 of the May 1964 Chess Life, which stated that it came from the ‘Mazowsze Polish Song and Dance Co.’. Who is this chess figure? The difficulty is such that a handsome clue is offered: D – T+C. 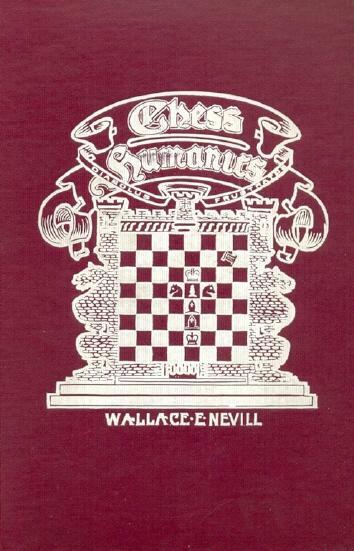 Of all the books dealing with chess lore and quotations, one in particular has been forgotten: “Chess-Humanics” by Wallace E. Nevill (San Francisco, 1905). Its mouthdrying subtitle was ‘A Philosophy of Chess. A Sociological Allegory. 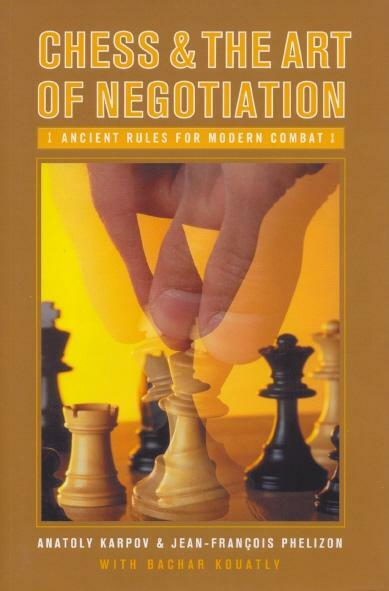 Parallelisms Between the Game of Chess and Our Larger Human Affairs.’ There was barely a word by Nevill himself, as the 238 pages consisted almost entirely of citations, often without precise sources and, even, without any direct link to chess. The third chapter, entitled ‘Black men and white men’, strayed far beyond the game to deal with race, citizenship and slavery, in a manner which would be impossible today. Throughout the book, quotes were bunched together, and the lay-out ensured maximum befuddlement for the reader. “Chess-Humanics” was published by ‘The Whitaker & Ray Company’, and the imprint page stated ‘Author’s Edition of One Thousand Copies’. It was noticed favourably on pages 187-188 of the April 1905 American Chess Bulletin, which reported: ‘Although Mr Nevill is an Australian by birth, he is now a citizen of the United States (having come here some 11 years ago)’. The Bulletin also referred to his over-the-board successes in Mechanics’ Institute championships in San Francisco. What became of Nevill we do not know, but oblivion may seem a legitimate resting-place for “Chess-Humanics”. The anecdotists give no source for their account, and in particular it may be asked why this friend, conveniently unnamed, would have been consulted by Capablanca during the game and would have replied ‘It is my responsibility that you play on’. Moreover, is any historical narrative likely to be credible when it purports to quote direct speech? Since it is affirmed by Kasparov-with-the-participation-of-Plisetsky that ‘the victim himself’ revealed what happened (with corroborative detail about hair hues), it is a pity that no further details were provided. 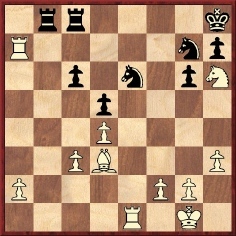 In the Carlsbad, 1929 tournament book (page 309) A. Becker merely stated in his note to 9...Ba6 that after the game Capablanca explained that he had momentarily considered it possible to answer 10 Qa4 with 10...Na5 (‘Nach der Partie erklärte er, bei diesem Zuge momentan im Glauben gewesen zu sein, auf 10 Da4 mit Sa5 antworten zu können ...’). In other words, the Cuban thought that he had already castled. In short, Capablanca was in the company of a young girl at the hotel in Carlsbad when his wife and two children unexpectedly arrived there. 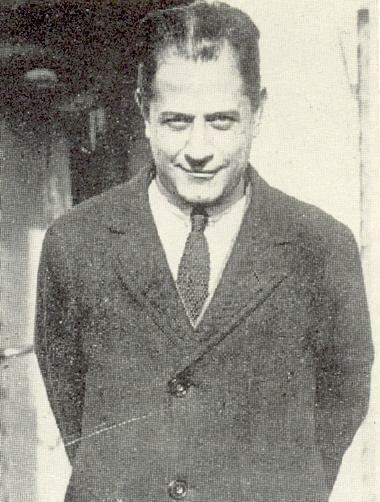 Canal tried to help Capablanca cover his tracks, but unsuccessfully. That night the Cuban faced his wife’s fury, and the following day he blundered against Sämisch. This article was reproduced on pages 102-104 of Esteban Canal by Alvise Zichichi (Brescia, 1991). This version refers only to a lady companion and a young girl, with no mention of Capablanca’s wife and children; nor was there any night of recriminations, since the incident is stated to have occurred during the Cuban’s game against Sämisch. The Ocho x Ocho article has been drawn to our attention by Christian Sánchez (Rosario, Argentina). Whether the account is faithful to what Canal had told Torán four decades previously is impossible to say. 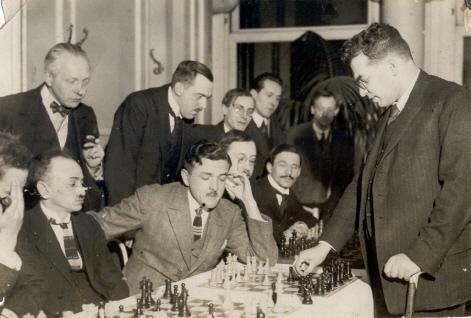 Alekhine was reporting on the tournament for the New York Times. Further confusion was created when Salo Flohr wrote an account in the 9/1980 issue of 64. 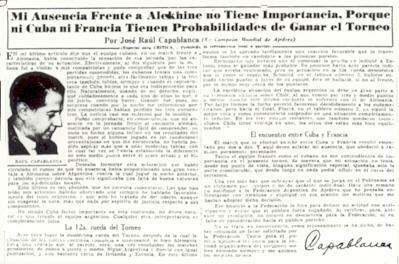 A translation of his article (‘El idioma materno de Capablanca’) was published on pages 28-30 of the 3/1981 issue of the Cuban magazine Boletín Ajedrez. 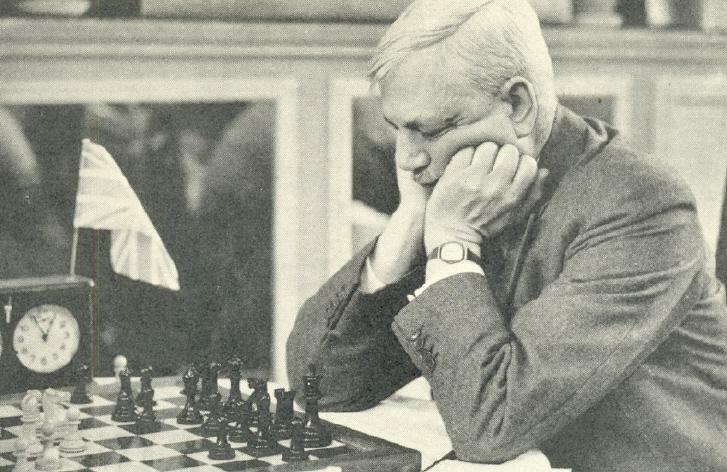 Claiming that the ‘secret’ of what had happened in Sämisch v Capablanca had come from the latter’s own words (no source), Flohr asserted that while the Cuban was contemplating move nine his wife unexpectedly entered the tournament hall. According to Flohr, this displeased Capablanca because he was then frequenting another woman, Olga Chagodaef, whom he later married. As noted on pages 252 and 325 of our book on Capablanca, this is incorrect because he did not meet his second wife until 1934. 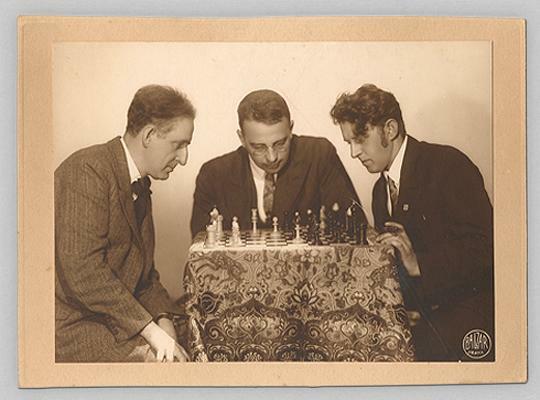 Taken jointly, the narratives by Canal, Kmoch and Flohr suggest that something involving one or more women occurred in the context of Capablanca’s loss to Sämisch. The unresolved questions are what, who, where and when. 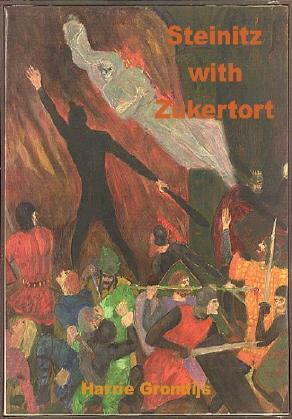 Another point raised by our correspondent is whether Zukertort was a naturalized British citizen. We are not sure. His obituary on pages 307-309 of the July 1888 BCM stated, ‘... he settled in London, becoming naturalized in 1878’. However, page 24 of Johannes Zukertort Artist of the Chessboard by Jimmy Adams (Yorklyn, 1989) referred to that obituary and added, ‘... the Home Office, Nationality Department, has no record of this’. In C.N. 4703 a correspondent asked about a chess author who was named as Trevangadacharya Shastree on the title page of Essays on Chess (Bombay, 1814). We noted regarding the original Sanskrit version that a nineteenth-century chess catalogue identified the author as ‘Trevangadâtschârya’ and the title of the work as Vilas muni munjuri. A. Nimzowitsch: ‘One works against the wrong view, as if each course has to carry direct out; also rating and quiescent courses have its right of existence’. Chess scandals are common enough, and tend to concern alleged cheating by players and/or maladministration by officials, and they may even briefly interest the mainstream press. In contrast, few eyelids are batted when a case is revealed of theft or other malpractice regarding the game’s literature. Coles reprinted the books of various writers (including Capablanca) under false names, but were many people bothered? A Spanish publisher deceived the public by bringing out a book whose author was named as ‘Garry Kaspartov’ (see C.N.s 4150, 4154, 4155 and 4225), but who minded? As shown in our feature article on Copying, all sorts of chess writers have freely passed off the output of others as their own, but how many cases resulted in an outcry? 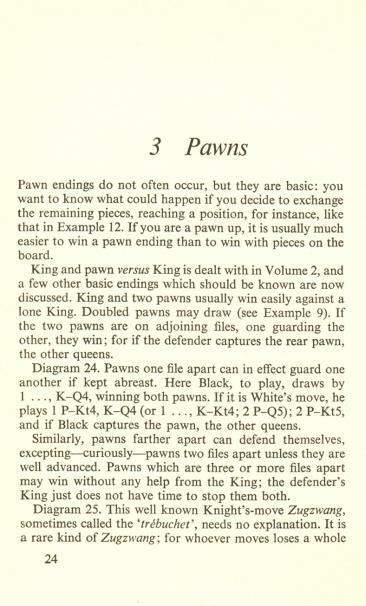 Different typefaces and notations are used in the book, and of necessity because 90 pages have been lifted, unascribed, from Chess endings for the practical player by L. Pachman (London, 1983) and about 100 pages have been stolen from Practical Chess Endgames by D. Hooper (London, 1968). It will be noted that the Robar book has amended the chapter endings, with a misspelling both times. 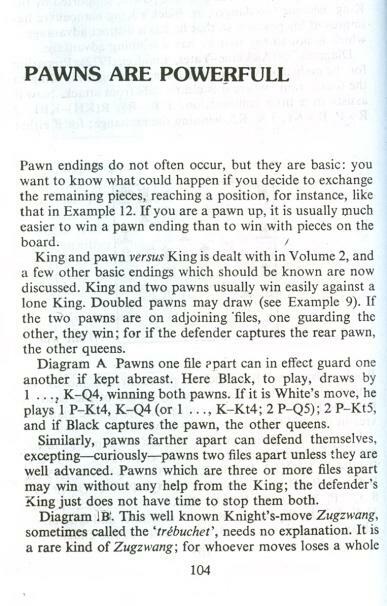 Everything in Techniques of End Game in Chess from page 49 to the end (page 240, which chops off Pachman’s analysis in mid-flow) is by either Pachman or Hooper. Not surprisingly, the other chess productions of Pankaj Books have also been put together, without attribution, from previous writers’ work, but does the chess world care? 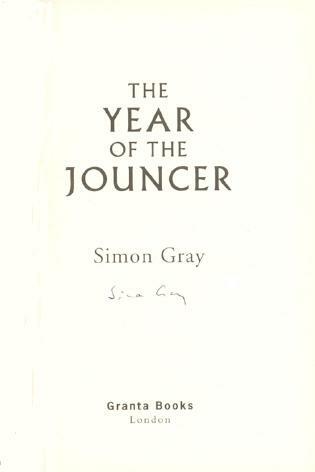 Students and/or practitioners of cheating at chess en famille should consult the reminiscences by Simon Gray on pages 25-28 of The Year of the Jouncer (London, 2006). 4719. 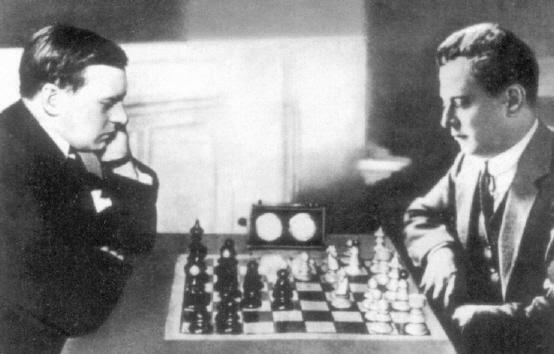 When was Alekhine born? 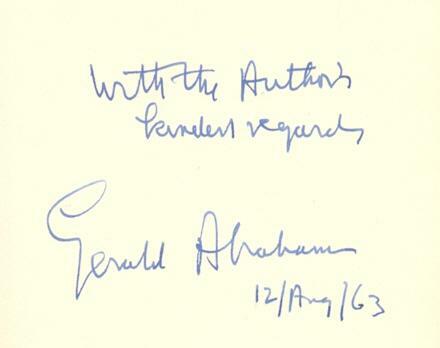 Alekhine’s birth-date is often given as 1 November 1892, but we are aware of no authoritative book published in the past 20 years or so which deviates from the ‘established’ date of 31 October 1892 (Gregorian calendar); this is the equivalent of 19 October 1892 in the Julian calendar, the gap in the nineteenth century being 12 days, and not 13. ‘Les biographies du nouveau champion du monde sont presque toutes remplies d’inexactitudes. Celle qu’on va lire est rigoureusement exacte. C’est la traduction d’un article de l’annuaire biographique Who is who [sic] avec quelques rectifications par le maître lui-même. Why would that birth-date appear in an article said to have been verified by Alekhine himself? 22 a4 Qc6 23 Ba3 Rhe8 24 a5 dxe5 25 Bxe7 Rxd1+ 26 Rxd1 Rxe7 27 fxe5 Qc5+ 28 Kh1 Qxe5 29 h3 Qxa5 30 Qg8+ Kb7 31 Qxh7 Qxc3 32 Qf5 Re1+ 33 Rxe1 Qxe1+ 34 Kh2 Qe7 35 Qc2 a5 36 Qc4 c6 37 h4 b5 38 Qd4 a4 39 Kh3 a3 40 g4 a2 41 h5 Qa3+ 42 White resigns. This is Louis Malpas (1893-1973), in a photograph submitted by Luc Winants (Boirs, Belgium). Malpas co-authored with Henri Rinck a booklet Dame contre tour et cavalier (Brussels, 1947), which prompted the clue in C.N. 4710. 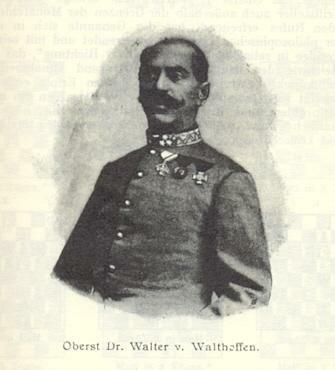 Rod Edwards (Victoria, BC, Canada) asks for information about Colonel (Oberst) Hippolyt Walter von Walthoffen (1830-1912), who had the ‘Walthoffen Attack’ named after him and won a well-known miniature against Gustav Zeissl in Vienna in 1899. 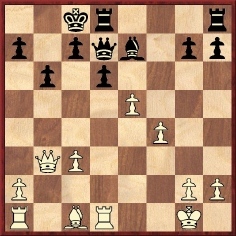 We begin by recalling that the Walthoffen Attack occurs in the King’s Gambit Declined: 1 e4 e5 f4 Bc5 3 Qh5. At move three it was commented that 3 Qh5 came from von Walthoffen (‘Der originelle Ausfall der Dame rührt vom Obersten Walter v. Walthoffen her’). This is the earliest reference we can currently offer for the ‘Walthoffen Attack’. 47 h3 (‘Zugzwang’, comments the German magazine.) 47...Kc8 48 Rxa7 Rxa7 49 Rxc6+ Rc7 50 Rxg6 Resigns. 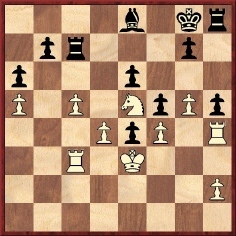 The familiar win by von Walthoffen against Zeissl went 1 e4 e5 2 Nf3 Nc6 3 Bb5 f5 4 d4 fxe4 5 Nxe5 Nxe5 6 dxe5 c6 7 Bc4 Qa5+ 8 Nc3 Qxe5 9 O-O d5 10 Bb3 Nf6 11 Be3 Bd6 12 g3 Bg4 13 Qd2 Bf3 14 Bf4, and Black announced mate in five with 14...Qf5 15 Nd1 Qh3 16 Ne3 Ng4 etc., although White has ‘spoilers’ at his disposal. 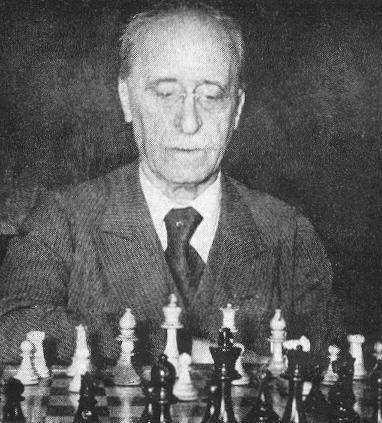 Irving Chernev included the game in his book Logical Chess Move by Move, and it appears in a number of databases. 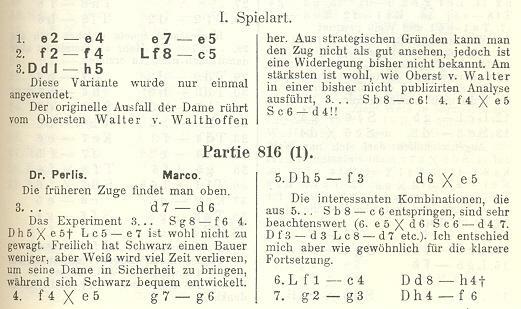 The latter usually state ‘1898’, but on pages 79-80 of the May 1899 Wiener Schachzeitung the game was reported as having been played in the Vienna Chess Club on 25 March 1899. That publication was in a section headed ‘casual games’ (‘Freie Partien’). On the other hand, page 39 of the March 1899 Wiener Schachzeitung had a crosstable for the 1898-99 Amateur Tournament of the Vienna Chess Club (won by L. Löwy) in which Zeissl lost a game to a player named as ‘Oberst v. Walter’. This was rendered as ‘von Walter’ on page 135 of the first volume of Chess Tournament Crosstables by Jeremy Gaige (Philadelphia, 1969). The reference in Gaige’s book prompts another question from our correspondent, Rod Edwards: was that tournament participant Hippolyt Walter von Walthoffen? Leaving aside the plain surname ‘Walter’, we have found, in the innumerable occurrences of the names ‘von Walthoffen’ and ‘von Walter’ in the Deutsche Schachzeitung and the Wiener Schachzeitung, instances of each being described as a) a player, b) a problemist, c) an ‘Oberst’ and d) a ‘Doktor’. On the other hand, there are also cases of their being indexed as different persons. The question thus remains open. 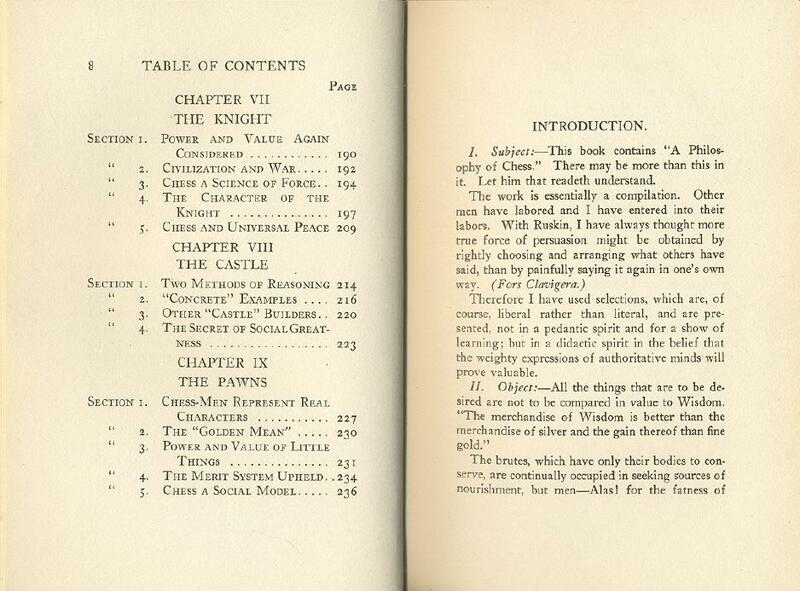 We add in passing that Gaige’s Chess Personalia (page 456) had ‘Walter von Walthofen [sic], Hippolyt’. The article also announced the publication in early March 1904 of a philosophical work by him, Das Weltproblem und der Weltprozess. After his death a biographical note on page 147 of the May 1912 Deutsche Schachzeitung (taken from the Neue Wiener Tagblatt) listed three other philosophical works by him, as well as supplying an overview of his military career and his chess activity. The ‘Walthoffen Attack’ was not mentioned in the above article, but it has not been forgotten. 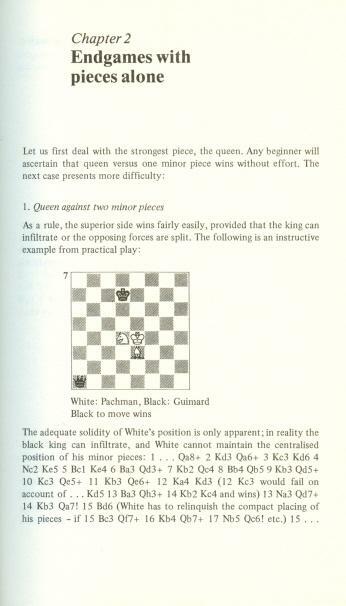 For an analytical discussion see, for instance, pages 15-18 of Das neue Königsgambit by Stefan Bücker (Stuttgart, 1986). It may be recalled that in C.N. 4203 Lord Morgan presented a personal memoir of the great BCM columnist. When did ladder tournaments first appear? 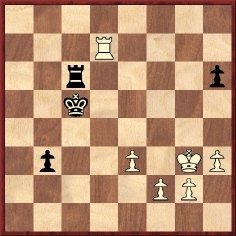 Who was the last surviving master who had come into personal contact (not necessarily over the board) with Zukertort? Sir George Thomas accused himself of ‘funk’ regarding the conclusion of his game against Capablanca at Carlsbad, 1929. 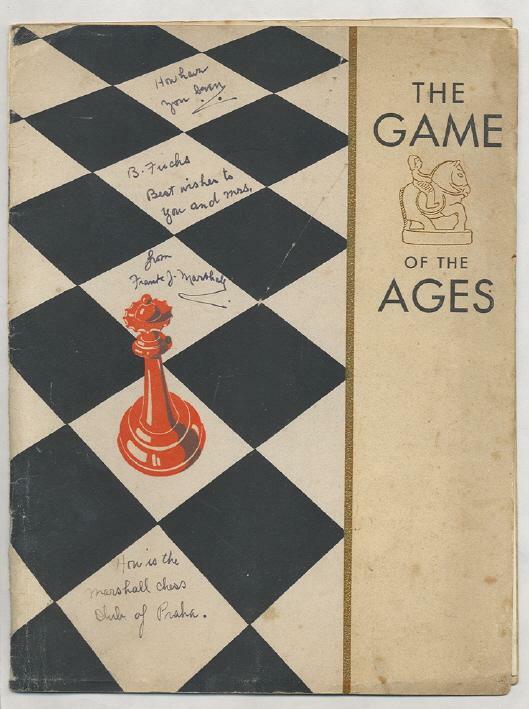 On the following page Assiac remarked that ‘readers can easily see for themselves that the game was won for Black, and without much risk either’. We wonder, though, how clear-cut matters are. 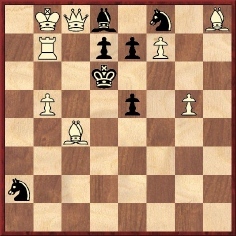 Has a winning method for Black at move 47 ever been demonstrated? 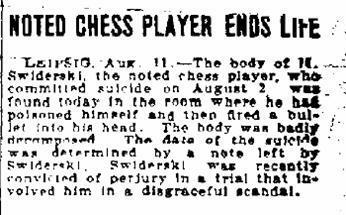 We asked how the dispatch from Berlin could be dated 11 August if, as stated in chess reference books, Swiderski died on 12 August (in Leipzig). Among other sources, we noted that the American Chess Bulletin (October 1909, page 227) gave his death-date as 2 August. What are the origins of the famous ‘Mister Meises/Meister Mieses’ story? On page 182 of CHESS, 20 March 1960 B.H. 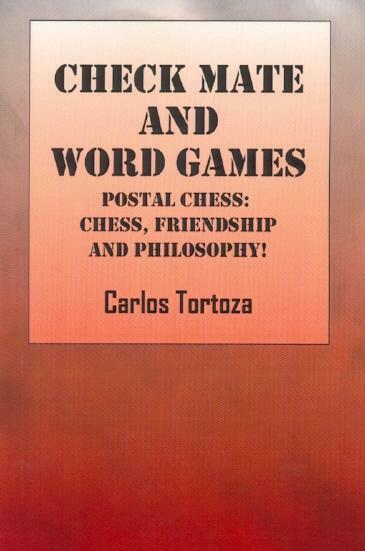 Wood wrote, ‘This anecdote first appeared in print in CHESS many years ago’. ‘Of course it is not exactly true. I simply spoke more languages than Ronnie Gross. Like Zukertort who spoke more languages than the Ipswich journalist, he was too tired to attend. At the time I had not even studied Russian and, worse, I had not studied Spanish, and I still haven’t. So, Danish, English, German, French (very bad), and maybe Swedish and Dutch. I may have said six. Later I may have said eight. I do not include Portuguese, Italian or Serbo-Croatian. Norwegian? The Norwegian of Ibsen, yes, that is a variant of Danish. That of Garborg, no. 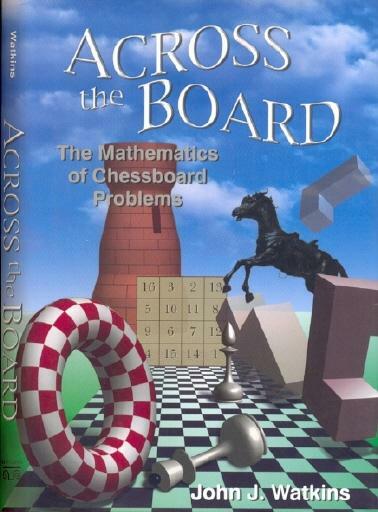 ‘A book of chess problems by Britain’s leading expert’ was the dust-jacket’s daring encomium. Our correspondent comments that this report pre-dates B.H. 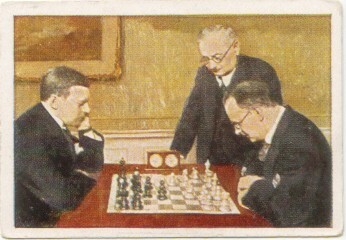 Wood’s magazine CHESS, which was first published in 1935. The reference to a well-known English (sic) amateur named Judd is strange. Source: American Chess Bulletin, September-October 1935, page 131. 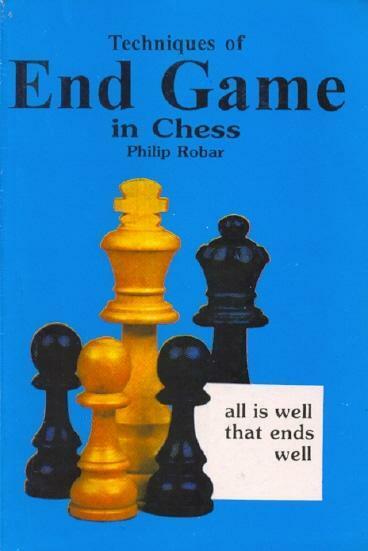 An addition for the category ‘General overview of the endings’ has now been made in our feature article on The Very Best Chess Books. 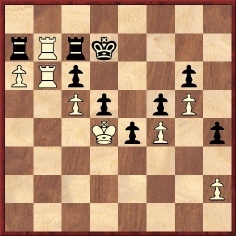 A new feature article, Chess Mysteries, has just been posted. [New link.] It groups together a number of C.N. matters (only a small selection for now) which have yet to be resolved. 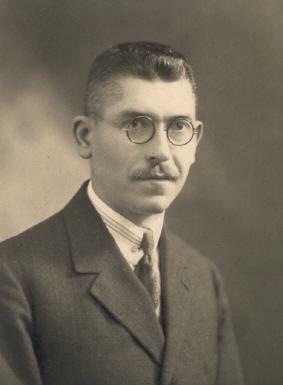 Karel Mokrý (Prostějov, Czech Republic) submits some pictures relating to Frank J. Marshall and Bedřich Fuchs. 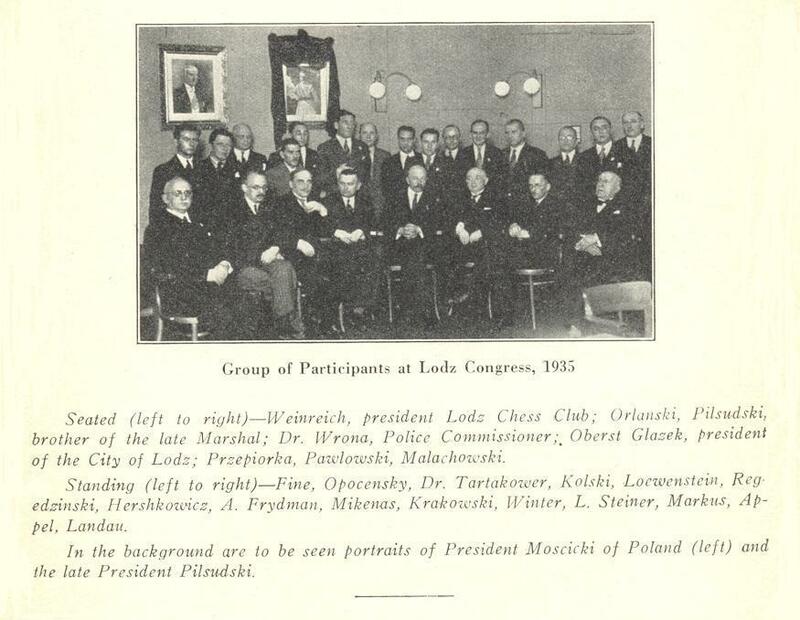 The latter was the President of the Marshall Chess Club in Prague, and biographical information about him is being sought. 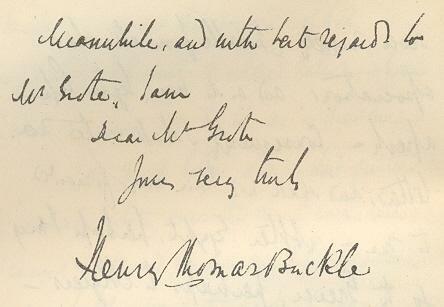 Photograph of Marshall inscribed to Fredrich [sic] Fuchs at the end of the 1930 Hamburg Olympiad. 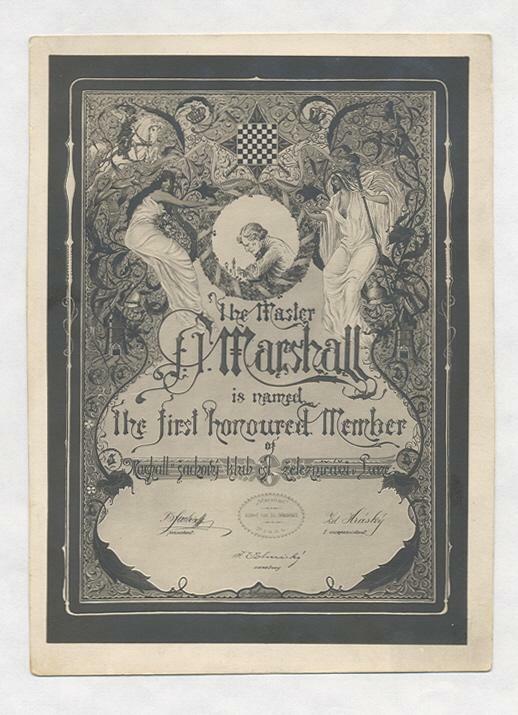 Copy of a certificate enrolling Marshall in the Marshall Chess Club in Prague. 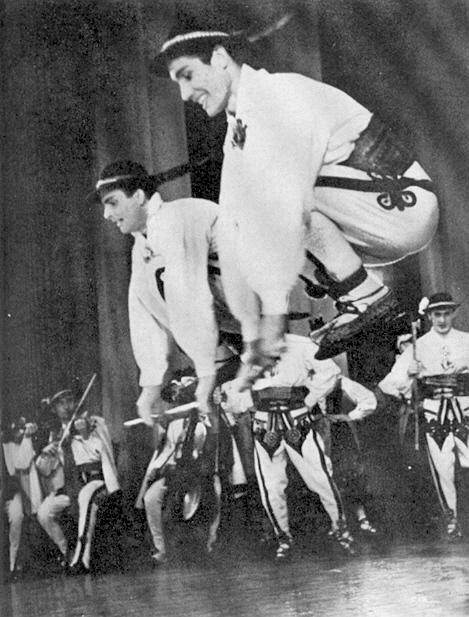 Prague Olympiad, 1931. From left to right: F.J. Marshall, A.W. Dake, N.N., I.I. Kashdan, B. Fuchs, I.A. Horowitz, H. Steiner. 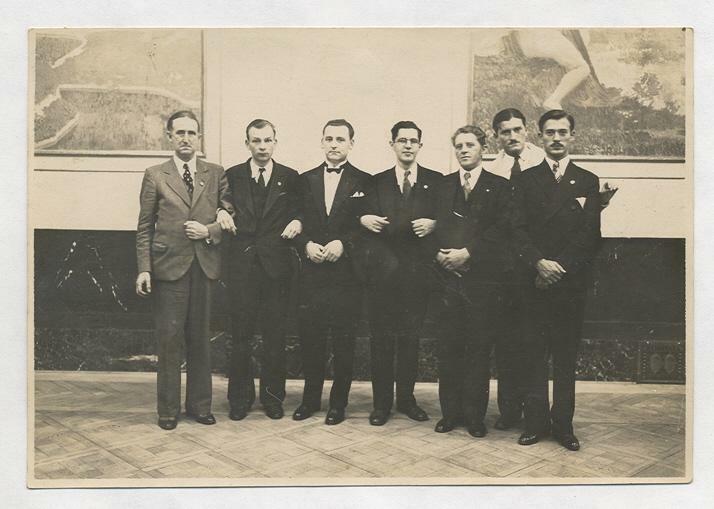 This group photograph was published in the Prague, 1931 book (without any names) and opposite page 416 of El Ajedrez Español, September 1935 (where Fuchs was merely identified as a suplente and the person between Dake and Kashdan was described as a delegado). It may be recalled here that our correspondent Karel Mokrý runs an on-line chess shop which is notable for its attractive prices and impeccable service. 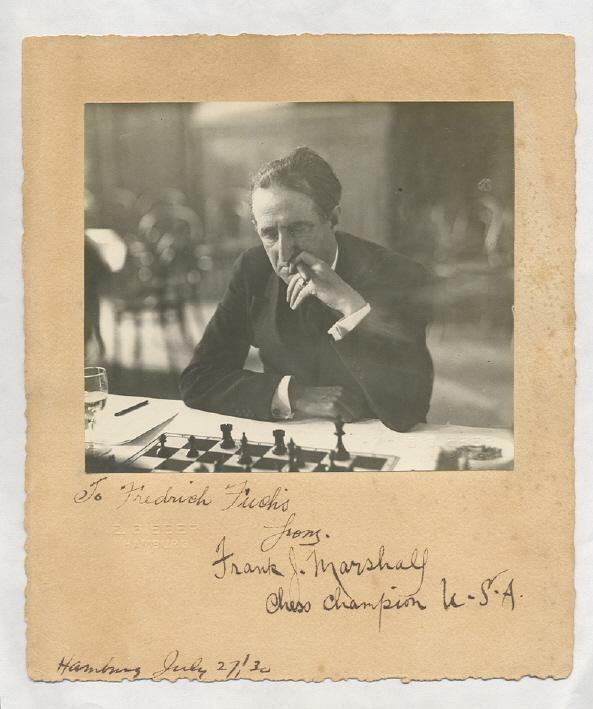 ‘My knowledge of Frank Marshall’s chess career involves only his earliest playing days, between 1893 and 1900, and I therefore limit my remarks to the few pages by Soltis in which he covers that period. Corroboration of the various points can be found in my own book Young Marshall (Olomouc, 2002). 1. On page 3 Soltis quotes Marshall’s statement in “unpublished notes” that he “won Montreal Chess Club Championship at age 15”. Soltis accepts the truth of this, since on page 6 he writes, “Besides winning the Montreal club championship …” In fact, Marshall never won the Montreal Chess Club Championship. He played in the first Montreal Chess Club Championship (1893), finishing third behind J.P. Cooke and D.C. Robertson, and in a handicap tournament which was not for the club title. He finished sixth in the 1894-95 handicap event. There is no evidence that he played in any other Montreal Chess Club Championships. 2. “Pollock (1859-1896) spent the last four years of his life in Montreal …” (page 4). Sources, including Pollock Memories, show that Pollock lived in Montreal for just under two and a half years. 3. “It was at the Manhattan C.C. that Marshall played his first serious match, with Vladimir Sournin …” (page 7). 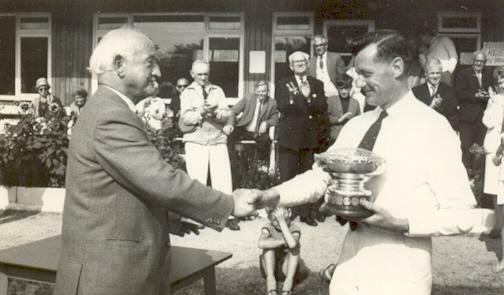 Marshall’s first known serious match was for the New York State Junior Championship at Ontario Beach, New York in July 1896, which he just managed to win against Louis Karpinski. Marshall’s second and more significant match was against William Ewart Napier at the Brooklyn Chess Club from 8 October to 7 November 1896. Napier crushed Marshall +7 –1 =3. Soltis does not mention either of these matches. In the match table on page 367 the Sournin match is dated 1896 instead of 1897. 4. “Solomon Lipschütz” (page 8). I am unaware of any conclusive evidence regarding Lipschütz’s first name. Gaige in Chess Personalia gives Sámuel, Simon and Solomon as versions found in multiple sources. 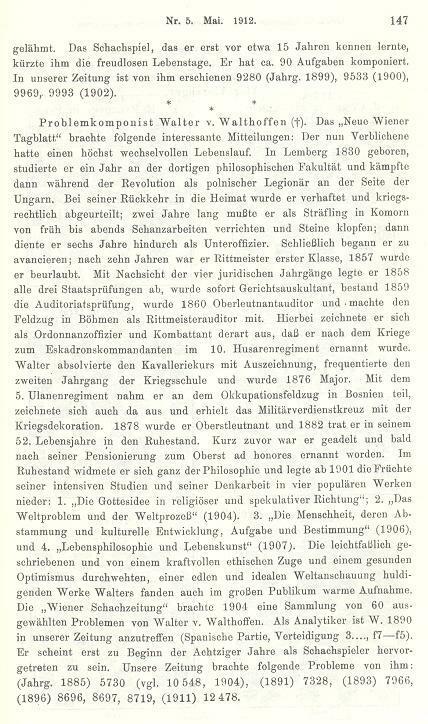 The index of Soltis’ book (page 377) has the misspelling “Lischütz”. 5. 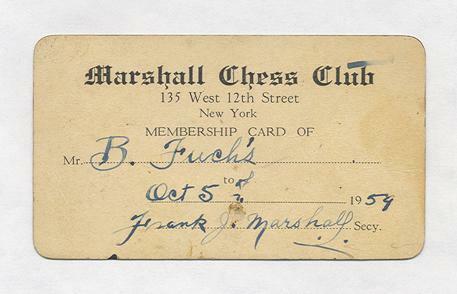 “Marshall also encountered some illustrious foreigners, such as Emanuel Lasker, the German-born world champion who was then living in New York” (page 8). Although dates are not given, the context for this comment concerns Marshall’s first years in New York, i.e. approximately 1895-1900. I know of no evidence that Lasker visited the United States between 1895 and 1900, let alone lived there during that period. 6. “Marshall’s principal young rivals were Hermann Helms, Napier and Albert W. Fox …” (page 8). Helms was seven years older than Marshall. Albert Fox, about whom I have done considerable research, does not appear to have had a game published in the United States prior to 1900, and I am aware of no games between Marshall and Fox until 1904. 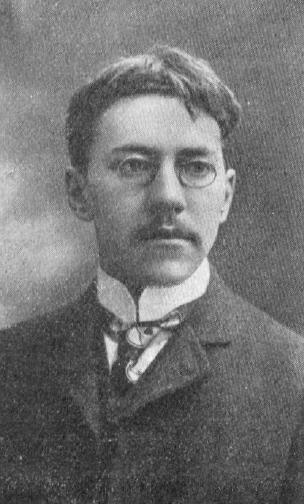 In 1900 Fox was a teenager living in Europe, and his earliest published games played in the United States are from 1901. 7. “In 1899 he lost a Brooklyn Chess Club Championship match, 2-1, to Napier …” (page 8). Marshall and Napier did contest a short play-off match following a Brooklyn Chess Club championship tournament. The final result was indeed 2-1. The year was 1898, not 1899. Marshall, not Napier, won. 8. “Marshall’s notes say he won the New York State Junior Championship in 1897 in a match” (page 8). 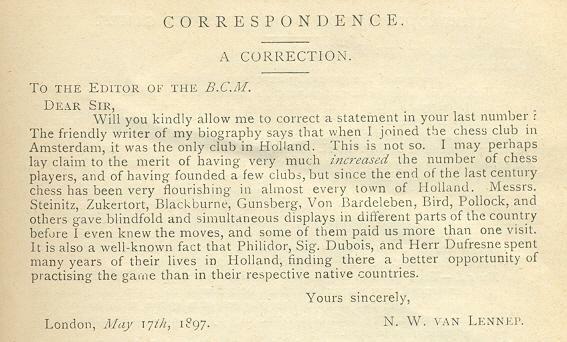 The match against Karpinski was, as I mentioned above, played in 1896, and not in 1897. Marshall was no better at remembering what events occurred in which years, in his own past, than he was at spelling. 9. “In his later writing Marshall also referred to a match with Fox but without giving a date. It is likely it was played about this time. Two games survive …” (page 8). 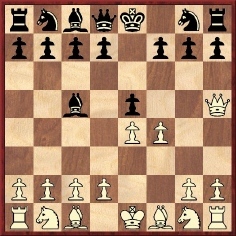 Soltis gives Fox v Marshall, “circa 1897”, 0-1 in 16 moves (page 9). It is unclear why Soltis should consider that the facts about the match between Marshall and Fox are uncertain. 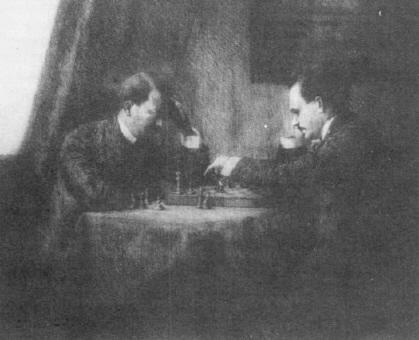 A photograph of the two players in their 1906 match at the Manhattan Chess Club appeared on page 24 of the February 1906 American Chess Bulletin. 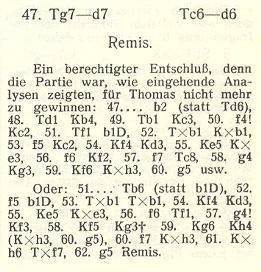 The 16-move game given by Soltis was on page 25 of the same issue, and was identified as the first match-game. Game two also appeared on that page, while the remaining four match-games (Marshall won +5 –0 =1) were published on page 95 of the May 1906 Bulletin. Thus, it is clear when the match was played and what the result was. All six games survive, having been published in the most common source for American chess during that period. 10. 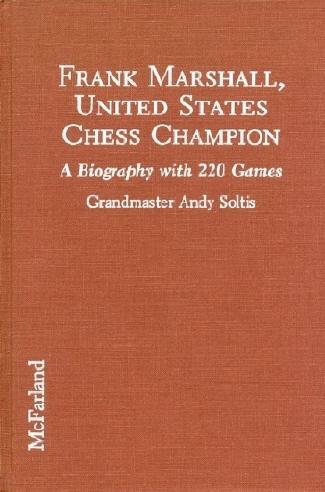 The Soltis book omits mention of a number of other significant events involving Marshall, including the Brooklyn Chess Club Championship of 1898 (although there is the faulty reference to Marshall losing 2-1 to Napier in 1899, when no club championship was held) and his drawn match against Jasnogrodsky in 1898. In 1900 Marshall won matches against Medinus, Delmar and Roething, but Soltis makes no mention of any of them. 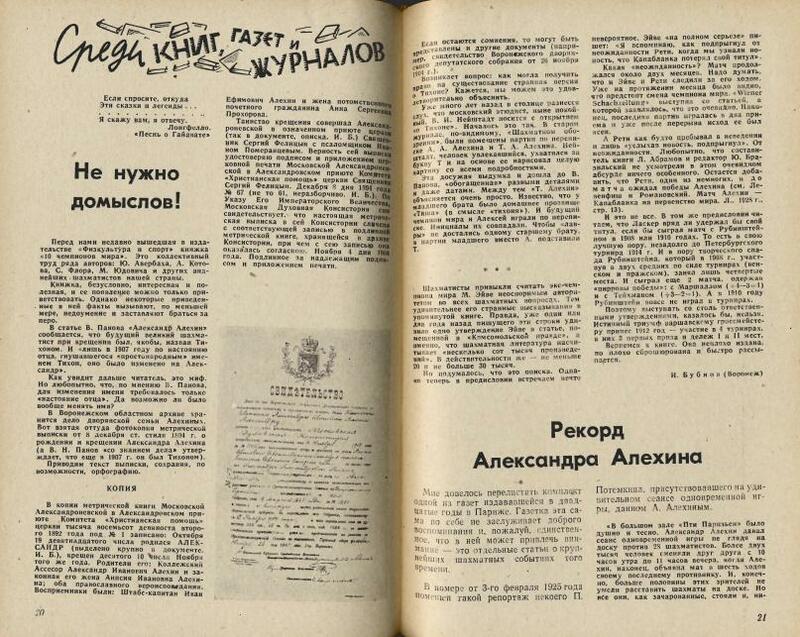 We shall be grateful if a reader can provide a detailed scan of the birth certificate from the Russian magazine. ‘When published in the International Chess Magazine (October 1890, pages 309-310) this game was stated to have lasted 37 moves, whereas its length was 38 moves in Tarrasch’s Dreihundert Schachpartien (Gouda, 1925), pages 284-288, and 39 moves in the Deutsche Schachzeitung, November 1890, pages 338-341. These last two publications had notes by Tarrasch. The International Chess Magazine gave the following conclusion: 31 Nf7+ Kg8 32 Ne5 Ra8 33 Rxa8 Rxa8 34 Nxc6 Rxa2 35 Ne7+ Kf8 36 Nxd5 Ra3 37 Bc4 Resigns. Tarrasch’s book had 31 Nf7+ Kg8 32 Ne5 Ra8 33 Rxa8 Rxa8 34 Nxc6 Rxa2 35 Ne7+ Kf8 36 Nxd5 Ra3 37 Bc4 h6 38 Nb6 Resigns, whereas the Deutsche Schachzeitung put 31 Nf7+ Kg8 32 Ne5 Ra8 33 Rxa8 Rxa8 34 Nxc6 Rxa2 35 Ne7+ Kf8 36 Nxd5 Ra3 37 Bc4 h6 38 Nb6 Kf7 39 d5 Resigns. The game, however, was adjourned (jokingly by Mason, according to page 271 of Tarrasch’s book). The time-limit in the Manchester tournament was 20 moves per hour. 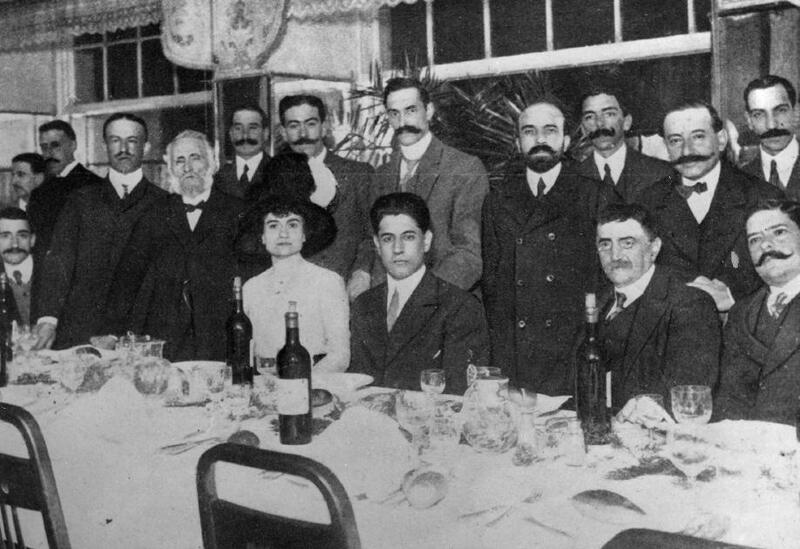 In San Sebastián 1911: El primer SuperTorneo de Ajedrez by Máximo López (Sta Eulalia de Morcin, 2006) our eye was caught on page 102 by a photograph of Capablanca (seated in centre) at the closing dinner in his honour. The book has been published by Editorial Chessy, and the photograph is reproduced below with permission. I did not reply to you earlier, so as to be able to give you the good news about the agreement on the match for the world championship. It appears that all is going well and that tomorrow everything will be signed. As the airmail leaves tonight, I can wait no longer to give you the news. You will understand what this has cost, and especially since Cuba, as usual, has left me in the lurch. If I had had the five thousand here, everything would have been settled better and faster. But that is about to pass into history, and now is the time to turn to the future and not to what has happened. Now, I need in any case two or three thousand pesos to prepare myself, as I have already arranged everything with Eliskases, who seconded Alekhine for his last match with Euwe and who, incidentally, is annoyed with A. There is no better second than Eliskases, but I have to pay him and retain him for two months before the match and then throughout the entire duration of the match, which will be another two months. Please therefore do me the kindness of seeking someone who can speak to the President to see whether it can be arranged for them to send me the money. Do not believe what you are told by the treasury secretary, as I believe that he is deceiving you. Through Portela, our minister, I am sending you the bulletins of the Nations Tournament. Señor Portela will be staying at the Hotel Presidente, and I should like you to see him and speak to him about the money I need and how to obtain it. With best wishes to your family and to the friends and companions of our Federation. 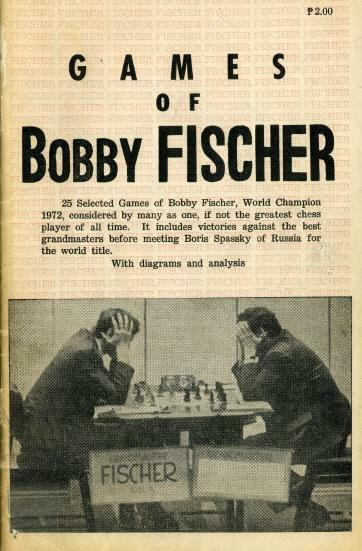 The book in question is named as ‘Boris Spassky, Fifty-One Annotated Games of the New World Champion, FDR Books, 1969’, but how could Karpov be unaware that Spassky wrote no such work and that it was merely a booklet by A. Soltis, published by the United States Chess Federation?